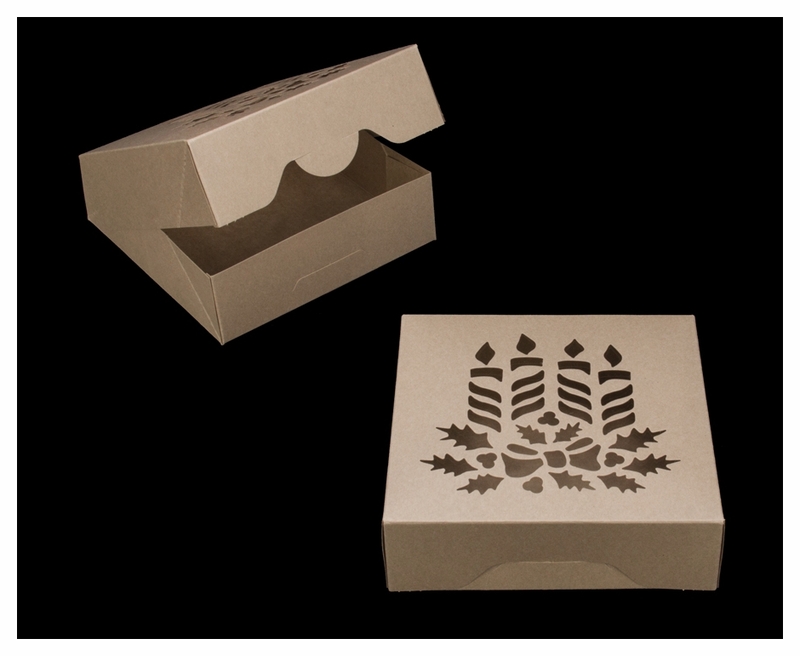 These are very well made boxes that make a nice presentation. I am filling theme with 8" Christmas cakes and including a litte flickering tealight candle that's lit (battery operated) in each one. They will be given to my guests while the lights are low. Everyone loves a surprise! Best UsesCookies, small cakes and pies, homemade candy, etc. Beautiful box; well made. Arrived packaged well. Prompt delivery. 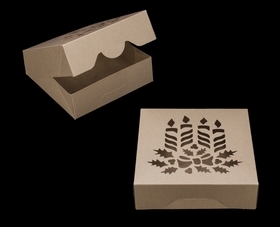 Best UsesIt is so festive to send Christmas Cookies to friends & neighbors in such a beautiful box.! I love that these boxes are not bleached and laminated. The cut out design is tasteful and festive. I've had lots of nice comments about them. Perfect for my cookie gifts. And the price was reasonable. When I reviewed this item online I wasn't sure about that size being correct or weather the box would be strong enough to hold cookies to pass around at an exchange. The item is perfect. Not only is it beautiful but heavy enough to hold cookies without bending. I received the boxes on the day that was given at checkout, the entire experience was easy and stress free. Thank you for both the quality of the item and service. I'm very happy with the purchase, the quality of the boxes is very steady to hold about a docent cookies. Very easy to assemble too! 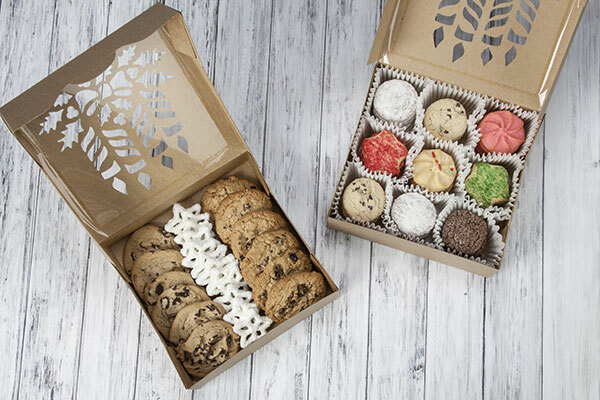 These laser cut cookie boxes will make your holiday cookies shine!